Dr. Ruiz specializes in family dermatology treating infants, children and adults with compassion and excellence in care. 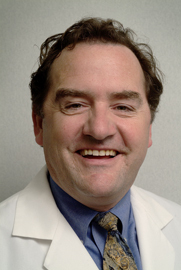 He is board certified in dermatology and has been in practice since 1993. Dr. Ruiz has staff privileges at both Troy Beaumont and Crittenton Hospitals and is currently Director of Dermatology at Beaumont. He stays up to date on the most current treatments and medications to ensure that your results are the best available. The office is located at the border of Rochester Hills and Shelby Township on the edge of Oakland and Macomb Counties in southeastern Michigan. The office hours include evening and early appointments to accommodate the patient's busy schedules.